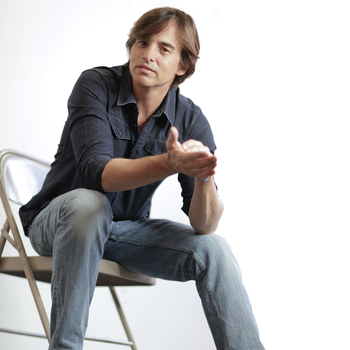 As we honor our servicemen and women on this Veterans Day, Army Ranger-turned-country singer Keni Thomas gives us the perfect soundtrack to celebrate their dedication and sacrifice. Thomas knows a thing or two about military life, and that in itself is a massive understatement. A highly-decorated Army Ranger who served in Operation Restore Hope in Somalia and the Battle of Mogadishu and later brought to life in the book and film Black Hawk Down, Thomas has experienced firsthand the perils of war and subsequently, the all-too-prevalent perils of returning home in the aftermath. In fact, for many years, Thomas admits it was hard for him to talk about his experiences, particularly the story of Black Hawk Down. "I fought it. I thought no one would understand it. It wasn't something we're supposed to talk about. It felt like I was bragging." But the singer told me when God came into the picture, he realized he had an opportunity to serve a greater good and higher purpose by sharing his story. "I was becoming a conduit," he says. "The rucksack I thought I'd been dragging around with me was really a gift that could do some good. So now I tell the story of those extraordinary men he placed around me that day with a sense of purpose." That is exactly why he's now using his story, his voice -- both figuratively and musically speaking -- to raise awareness for a special group of folks so often forgotten in our world today -- our beloved veterans. And with his video for the single "Hold the Line," he's doing it in the most powerful and poignant way. The song is an important call to us all to band together and stand up to protect and support our men and women in uniform as they return home. When it came time to film the music video, Thomas said he and his director wanted to keep the military scenes as authentic as possible, so he called on his friend Ed Salue, who lost his leg in Iraq, to play the film's central character, while the 3rd U.S. Infantry Regiment (the Old Guard) from Arlington National Cemetery offered up their full support as well, because they believe in Thomas' mission. For Thomas, making this video is also about looking beyond the stereotype we often employ when we think about our veterans. He says, "I would ask that we realize the returning vet is more than just the stereotype of an old guy in a VFW parade. They are one of us. She is the single mom picking up her kid at school. He is the dad in the pew next to you with the titanium steel leg. They are your neighbors, your co-workers and your community because they are your military." So what can do to help? Thomas says civilians do have the power to impact change together and told me, "We have to do our part to hold the line. We have to open our arms, welcome them home and help them to find purpose, motivation and direction back here in the real world. That takes all of us -- family, friends, community, employers, educators and policy makers." And he encourages all of us to use our gifts to help our veterans. "Some folks have the gift of song. Then I would tell them to sing out loud. Some can give. Then give generously. Some can employ. Hire abundantly. Some have been put into leadership positions. Take the responsibility seriously and lead well. Whatever gifts you have been given, then use them." He continues, "I know by the grace of God the only reason I'm still around is because of those folks. I realize that I've been given a gift. I have a voice that can get heard. That's a responsibility I cannot take for granted. So with that voice, I will do what I can to help. I choose to be a voice for veterans."